Rosanna Falconer is an award-winning digital strategist with over 10 years’ experience in the fashion industry working across e-commerce, communications, events and licensing for brands including Matthew Williamson and the British Fashion Council. She launched the digital strategy of both companies. Her most recent role was Business Director of Matthew Williamson, for whom she continues to consult today. Rosanna was chosen by Drapers magazine for their ‘30 under 30’ list. She featured in The Drum’s inaugural Digerati alongside Natalie Massenet and James Hart – a list of 100 individuals setting the digital agenda. She is co-founder of FashMash, a community which unites individuals in the fashion, digital and technology space. Founded in London over five years ago, and now meeting in various cities worldwide, it is comprised of over 500 leaders across retail and luxury brands, as well as at relevant tech companies, agencies, VC funds and start-ups. In 2018, it expanded into a monthly speaker series – ‘Pioneers’ – with speakers including directors of Farfetch, NET-A-PORTER and H&M. 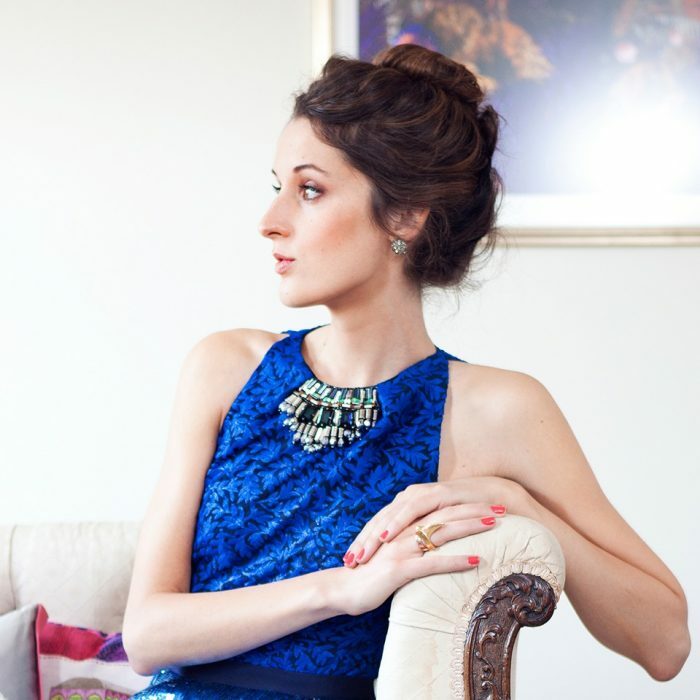 She is an established speaker and chair within the London fashion community. In 2018, she hosted the Facebook Fashion Summit’s panel on influencers. She is a regular each season for Nick Knight’s live fashion week panels at SHOWstudio. Other panels include the V&A, FoundHer Festival and London Fashion Week Festival. As co-founder of FashMash, Rosanna interviews leaders in fashion and technology at the monthly speaker series. Book tickets for the next event. Rosanna also moderates panels and interviews independently. See her recent panels for SHOWstudio here. With a well-established career firmly rooted in communications, Rosanna has begun to accept writing commissions since starting out as a consultant. Writing provides a way to explore her creativity and expand on opportunities to partner with brands alongside her social media platforms.